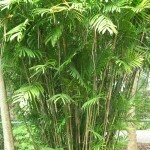 Bamboo Palm (Chamaedorea seifrizii) - Richard Lyons Nursery, Inc. 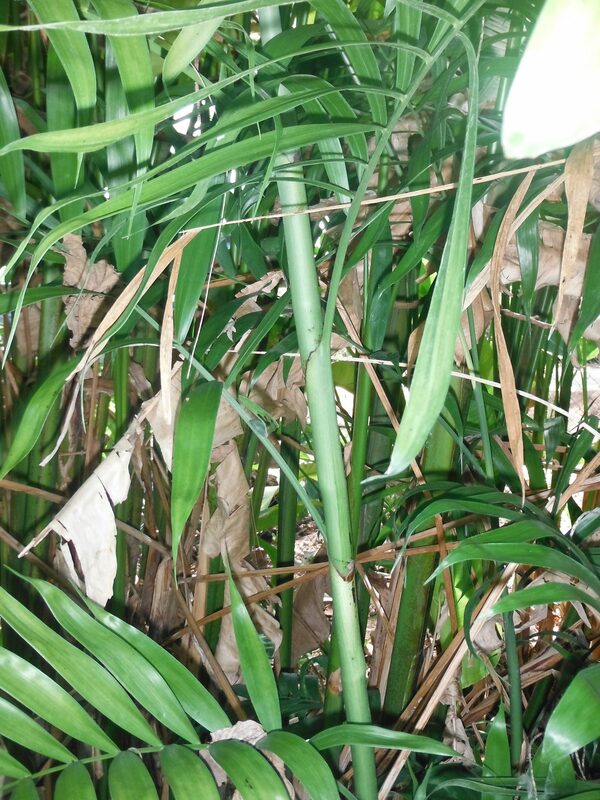 The term ‘Bamboo Palm’ has been applied to several palm species because of their resemblance to genuine bamboo. What each of the ersatz bamboos features in common is multiple smooth stems interrupted by horizontal rings. 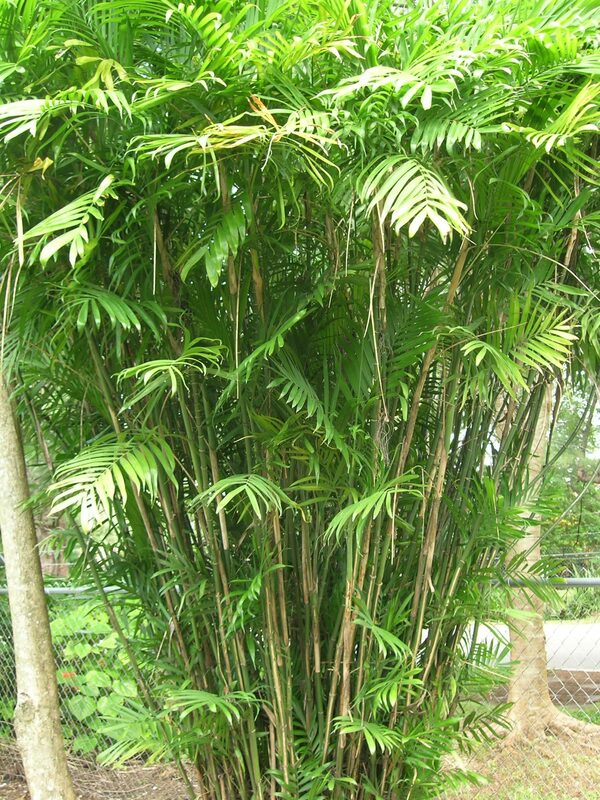 Over time Chamaedorea seifrizii probably has been the most frequently-cited and dependable of the so-called Bamboo Palms. Chamaedorea is a New World genus of over 100 species, and many have found significant niches in the landscape of southern Florida. More than a few have demonstrated the invaluable capacity to adapt from native rainforest habitats to successful roles as indoor ornamental plants. C. seifrizii perhaps fulfills that function better than any others. 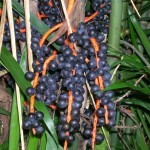 C. seifrizii is a clustering species whose thin, cane-like stems grow to variable heights, roughly 7-12 ft. It features semi-glossy pinnate leaves which are distributed along each stem, rather than just at the top. (Leaflet shape is quite variable in this species, and over time some forms have been erroneously marketed under different names. For example, the wider-leaflet form is often sold as C. erumpens.) 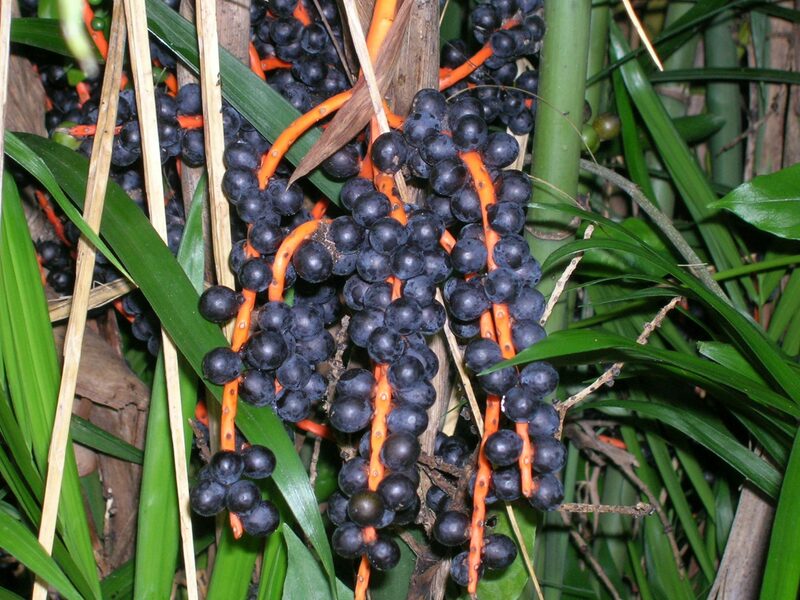 Once a specimen matures, it produces orange infructescences that bear pea-sized fruit which ripens black. The combination of colors is very striking and attractive. The species is native from the Yucatan Peninsula of Mexico into Belize, Guatemala and Honduras. In part of its range, it thrives in swampy settings, but elsewhere it occurs under seasonally arid conditions. That versatility likely explains why this palm is among the most drought-tolerant of Chamaedoreas. Cold tolerance in southern Florida is generally not a worry in the populated regions; C. seifrizii withstands temperatures down to 28° and can usually overcome the damage that occurs at 26°. C. seifrizii’s versatility extends to light demands as well. It is tolerant of both very bright outdoor positions and low indoor lighting. 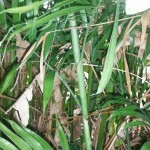 However, like Rhapis excelsa, its color bleaches out in full sun, particularly in a climate — such as that of southern Florida — where summer temperatures commonly exceed 90°. The adaptability of this species to indoor lighting conditions has made it very popular for interior landscaping, although for best results it should not be placed unrealistically distant from a window or a source of good artificial lighting. If a regular watering schedule is observed, maintenance of this Bamboo Palm is rather undemanding. About the only problem to watch for when growing C. seifrizii indoors is, as with many other plants, occasional infestations of red spider mite. C. seifrizii is available at the nursery in 7- and 15-gal. containers.